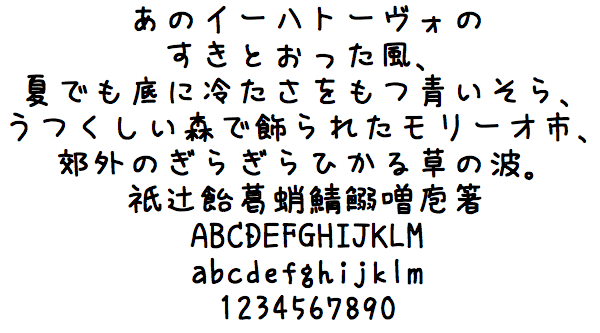 SanafonMaru (さなフォン丸) is a cute and good looking handwriting style Japanese font from the Sanafon family that you can download. It has all the common characters including thousands of kanji characters. Commercial use is ok, but with exceptions. Please refer to this page (in Japanese) to know more. *To download, visit the “Download page” above and look for the download section shown below.